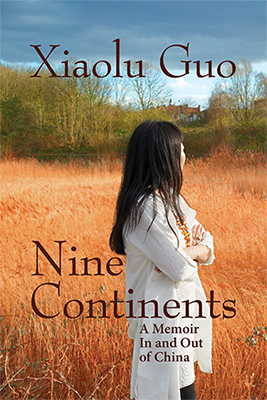 A memoir from acclaimed Chinese writer and filmmaker Guo about her coming of age in an inhospitable country, and determination to seek a life beyond the limits of its borders. Ms. Guo’s memoir offers a haunting account of how China’s rapid shift from Maoist ideology to market-driven growth has simultaneously created extraordinary opportunities for the Chinese people and intensified their craving for meaning and purpose in the face of continuing authoritarian controls ... She is especially vivid—and funny—in describing the moments when her childhood intersected with high politics ... Nine Continents shows the rewards of listening to an unleashed voice remembering and speaking with full freedom. Aside from the fast-paced plot, this is most interesting for its probing portrayal of Guo’s ambivalent relationship with her homeland ... Nonetheless she doesn’t sentimentalise China or her life there. An impressive feature of this moving and often exhilarating book is the brutality of her portrait of her parents ... The question here is what kind of loyalty we owe those bound to us by blood. It is not coincidental, Guo thinks, that the protagonists of all her favourite novels have been orphans — 'parentless, self-made heroes.' This is her myth, too, but her strength lies in her acknowledged ambivalence. Even as she escapes gravity and floats into the future, she feels the obstinacy of the roots that pull her back into the past. Nine Continents is a compelling and often startling read, written in a direct style with a few moments of sentimentality. Guo intersperses scenes from a Buddhist folk tale throughout the book, providing a dreamy feel to an often hard-edged story. While she does discuss the many influences on her artistic life, Guo does not really reflect on her practice. It feels strange that a prolific novelist and filmmaker would exclude discussing her many works in English and Chinese. What Guo does detail is the quest for freedom in a changing communist China, the anguished pull of family, and the loneliness of a new immigrant. Ultimately, the memoir is a feminist meditation on the yearning to balance individuality with belonging and find a home. What did you think of Nine Continents?